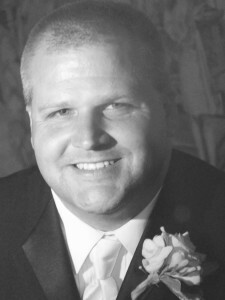 Matthew Parker Fiske, 43, passed away Aug. 24 as a result of a tragic automobile accident. One of God’s brightest lights was extinguished far too soon. Matthew was born May 4, 1971, in Glens Falls. He was the son of the late Frank Fiske, Jr. and Judith Rae (Parker) Fiske. Matthew was well-loved in both the Capital District and his hometown of Granville. He graduated from Granville High School in 1989 and continued his education at Castleton State College, earning a bachelor’s degree in education. Matthew then earned a master’s degree from The University at Albany in special education. His strong business acumen led him to pursue his Master’s of Business Administration degree from Clarkson University in 1995. During his high school years, Matt’s strong and diligent work ethic began at a young age as he worked at Parker’s Dairy Farm. During his time off from the farm he spent time mowing lawns. While studying at Castleton State College, he continued to farm, purchased and raised his own heifers, and sold them as a prosperous aid to his academic pursuits. Later, during his time spent at Castleton State College he purchased his own salt water taffy equipment. Matt was inspired to buy and begin making his own taffy as a young boy from the “Goldenrod” (taffy) restaurant in York, Maine. He learned the trade of making salt water taffy and established the “Vermont Old Fashioned Pulled Salt Water Taffy, Inc.. Vermont maple syrup was the main ingredient featured in his taffy products. He wholesaled to companies around the country. In conjunction with his taffy sales he began raising pigs and made and sold evergreen wreaths that he used as a fundraiser while he was a Junior Class Advisor while teaching special education at Shalmont High School. All these endeavors were the beginning of his goals of owning and running his own business one day. After earning his MBA from Clarkson he worked in the corporate world and traveled for Reynolds and Reynolds, a computer sales company that sold software to car dealerships. Following this short career he spent time earning his master’s degree from Albany State University in special education. He was employed by Shalmont High School in Rotterdam as a Special Education Teacher for nine Years. During his nine years teaching, he privately tutored children at night after the school day. He also ran a daily summer sports camp during the months of July and August when children were home from grade school on summer vacation. He spent time mentoring youth from school that needed guidance and a positive role models. Matt welcomed the mentees into his home, giving them odd jobs and including them when family would visit. In conjunction, Matt spent a few years coaching the Shalmont Varsity Football Team. Matt’s true passion and joy was spent establishing his lucrative Construction Business, Fiske Construction, Inc. Like a maestro conducting an orchestra, Matt was brilliant at managing his team of workers, and multiple projects. His work beautified the town and communities in which he built demonstrating his masterful trade. He built single family homes, as well as town homes in several communities. This past winter, Matt beautified his mother’s home with a total renovation. Her home will be a cherished showplace of his craftsmanship. Matt was a man full of endless personality and was energetic, genuine, and sincere. His ability to approach and engage in conversation with anyone for hours was an easy and enjoyed past-time for Matt. He would always call and return your calls promptly with an eager and soft tone. Matt’s openness with family and friends accompanied by his welcoming presence made your visits comfortable and enjoyable. You could help yourself to his refrigerator, walk through his entire home while never feeling your presence was an intrusion or burden. Matt followed sports closely. The Terrible Towel could be spotted on many occasions as he watched his beloved Steelers. He was an avid weight lifter for years and appeared in a weight lifting magazine. As a youth he was a member of the Granville Little League baseball team and participated in the Boy Scouts. Throughout high school he played on the Granville Horde football team. Matt was predeceased by his father, the late Frank R. Fiske, Jr.; his grandmother, Eleanor Flanders Fiske; grandfather, Frank Fiske Sr.; grandfather, Eluid C. Parker; and grandmother, Joryce B. Parker. Matt will be remembered by his two adoring children Madison Lee Fiske and Jacob Parker Fiske. Matt enjoyed watching his children swim and play in the backyard. Vacations together were a cherished time visiting Disney World, Maine, and the Rocking Horse Ranch. Our family is blessed and thankful to have Madison and Jacob as a reminder of Matt’s wonderful life. His memory lives on with his mother, Judith P. Fiske, of Granville; his brother Nathan F. Fiske and his wife Hillary, of Hartford; his sister Courtney Fiske-Stevens and her husband Andrew Stevens, of Queensbury; close family friend Kenneth W. Schenk of Granville; and his beloved canine companions, Cassie Mae, Riley Rae, and Cooper; and many aunts and uncles, cousins, nieces and nephews. Friends may call at Robert M. King Funeral Home, 23 Church Street, Granville NY on Thursday, Aug. 28, from 2 to 4 p.m. and 6 to 9 p.m. A funeral will be held at Robert M. King Funeral home, 23 Church Street on Friday, Aug. 29, 2014 at 11 a.m. Matthew will be laid to rest at Mettowee Valley Cemetery. Memorial contributions may be made to the Haynes House of Hope in Granville, New York and the SPCA of Upstate New York.